The Department of Justice (“DOJ”) announced in early July that it had settled a False Claims Act (“FCA”) lawsuit with five Gardena, California info tech companies (En Pointe Gov. Inc., En Pointe Technologies Inc., En Pointe Technologies Sales Inc., Dominguez East Holdings LLC and Din Global Corp.) for more than $5.8 million. The multi-million dollar settlement resolves claims that the info tech companies obtained small business government contracts through misrepresentations that “En Pointe Gov. Inc. was a small business in order to obtain contracts set aside for small businesses and underreporting sales under a General Services Administration (GSA) contract to avoid the payment of fees,” the DOJ said. As part of the lawsuit, the DOJ alleged that, from 2011 to 2014, the En Pointe defendants were responsible for making misrepresentations that En Pointe Gov. Inc. qualified as a small business under the requirements of the Small Business Administration (“SBA”) for purposes of obtaining government contracts only available to small businesses. The SBA was established in 1953 in order “to maintain and strengthen the nation’s economy by enabling the establishment and viability of small businesses…” The SBA establishes guidelines based on the type of services or services a company provides, as well as setting size-standards for eligibility as a small business based on the number of employees within a company and the number of the company’s receipts. 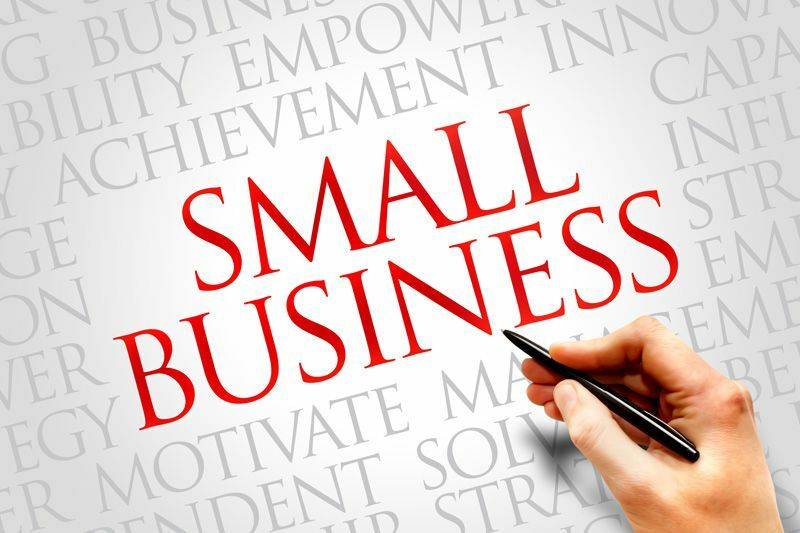 Companies interested in obtaining SBA eligibility for purposes of bidding on contracts that are specifically established for small businesses self-certify and register under the SBA’s guidelines. Federal agencies set aside approximately 23% of their contracts for small businesses. Competition among small businesses for these aforementioned contracts is quite fierce, and the eligibility requirements for those contracts are strict and extremely detailed. In the case against En Pointe and its co-defendants, the DOJ specifically alleged En Pointe Gov. Inc.’s involvement with the other Gardena, California defendants barred En Pointe Gov. Inc. from claiming that it was a small business. As a result, En Pointe Gov. Inc. was ineligible for the small business only contracts it obtained, the DOJ said. According to the DOJ, En Pointe Gov. Inc. was used essentially as a false front to garner a number of small business contracts with the government. Consequently, the DOJ alleged that, through En Pointe Gov. Inc., the defendants were able to fraudulently obtain more than 150 small business only contracts, worth more than $48 million. Contractors who misrepresent their eligibility for government contracts, or fail to pay amounts owed under those contracts, undermine the integrity of the procurement process. The Justice Department will take action to fully protect taxpayer funds. These companies defrauded the government in two ways, each of which cost taxpayers. Small businesses, in some cases, are eligible to receive a preference when government contracts are issued. Large companies that fraudulently solicit and obtain contracts under small business set-aside programs, like the companies in this case, not only abuse the system but also harm legitimate small businesses by taking those contracts away from them. In its complaint, the DOJ also alleged that the defendants filed false quarterly reports with the GSA on behalf of En Pointe Gov. Inc. from 2008 through 2015. Those false reports underreported sales made under a GSA schedule contract, which allowed other federal agencies to purchase from En Pointe, the DOJ said. By underreporting the amount of their sales, En Pointe was able to underpay the fees it owed to GSA. The DOJ said that En Pointe Gov. Inc. failed to report more than 80 percent of its sales to GSA, which deprived the government of more than $1 million in fees. Furthermore, the DOJ said that En Pointe Gov. Inc.’s underreporting was part of the defendants’ efforts to conceal the fact that En Pointe’s sales, and the sales of its affiliates, would have made En Pointe ineligible under the SBA guidelines for small businesses. As part of the settlement, Virginia-based Minburn Technology Group and its managing member, Anthony Colangelo, will split a sizeable whistleblower award for their efforts in filing the initial qui tam lawsuit under the FCA in 2014 that exposed the tech companies’ fraud. In this case, Minburn and Colangelo will share 24% of the $5.8 million settlement, or approximately $1.4 million. The most noteworthy part of the case against En Pointe and the other defendants is that it represents a growing a trend whereby companies use qui tam lawsuits and/or similar state whistleblower laws to confront cheating competitors to create a level playing field for business. Another recent example of a company suing its competitor occurred in the Ameri-Source Electrode anti-dumping suit, which utahwhistleblowerhotline.com covered in a previous posting. As a result of cases like that against En Pointe and Ameri-Source, it appears that the qui tam portion of the FCA may serve as a useful tool to combat cheating competitors in industries where government contracts are sought. If your or someone you know has information regarding possible violations of the FCA, please contact our whistleblower attorney team for a consultation. Under the FCA, a relator is entitled to receive between 15 and 25 percent of the amount recovered by the government in a qui tam action. However, if the government does not intervene in a qui tam action, a relator is entitled to receive between 25 and 30 percent of whatever is recovered. If a qui tam action is successful, a relator is also entitled to legal fees and other expenses. The FCA also bars an employer from retaliating against an employee for disclosing possible misconduct, and provides a mechanism by which an employee may seek relief for any retaliation. You can contact us via email at kporter@chrisjen.com, by phone at (801) 323-5000, or by filling out our online form.